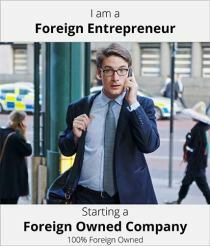 Do many Entrepreneurs from abroad come to Indonesia? in today’s world, entrepreneurs push economic growth and it is no different in Indonesia. That being said, the number of business owners are significantly less than 10% of the Indonesian population, with Singapore and Malaysia having a much higher rates. For young Indonesians, the education system did not provide them with the essential needs to become an aspiring entrepreneur. It was conducted in a way where it was more of telling students what to memorize and what to write. That made it difficult for an average Indonesian to conceptualise new ideas, or even produce one. It also made them someone who is not courageous in taking risks and adaptable to changes in an ever-changing world. In contrary to the education system in other developing countries, there have been more entrepreneurs produced there making a living in Indonesia. With the Indonesian economy, although a growing nation, it is not favorable toward those who dream of owning their own businesses. Banks in Indonesia have for a long time adopted a very high micro-lending rate (around 20%), which is the highest in ASEAN. So unless a local is well connected, it is very difficult to get the capital needed to start a business. It is especially hard to establish a friendly entrepreneurship with the lack of support from the Indonesian government. While the former presidents may have been successful in boosting the nation’s economy, they failed to build a business climate that was friendly to young generations and the small and medium enterprises (SME) sector for the locals. Entrepreneurs roughing it out in Indonesia are unlikely to tell you Indonesia is an easy market to win. However, this largest archipelago in the world is definitely an attraction when it comes to foreign entrepreneurs. With a wide range of growing opportunities, and not looking like it is about to slow down, the open nature of business in Indonesia makes it a conducive environment for building a full stack ventures. Indonesia is a hotspot for foreign investor in Asia after China and India. With their population, which is about 264 million, this is an economy which is consumption-driven. In short, there are a lot of reasons to take your business to Indonesia. But that being said, unfortunately Indonesia is as elusive as it is attractive, making it a mirage for some of the possible investors. While there are many reasons to come to Indonesia, the opportunity to challenge yourself as an entrepreneur makes it the most concrete reason for investors to stay. If you can make it here, you can make it anywhere! Local businesses and its founders are likely to agree – if you can crack Indonesia, you can crack any market. In reality, it’s only for those with true grit.